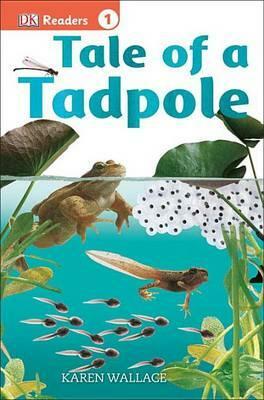 Starting out as an egg on a lily pad, follow the life of a newborn tadpole as he hides from the dangers of the pond including hungry goldfish and beetles, as he grows up into a frog. Level 1 books are stories for children just beginning to learn to read. They use short, simple sentences, simple vocabulary, word repetition, and large type. Strong visual clues help children with new words. Lively stories feature characters and topics that are familiar to young children. DK Readers L1: Star Wars: The Clone Wars: Pirates . . . and Worse! DK Readers L1: Star Wars: The Clone Wars: Watch Out for Jabba the Hutt! Karen Wallace is the author of numerous children's books, one of which, Think of an Eel, won the Kurt Maschler Award. She also writes children's television scripts, as well as natural history programs and documentaries. She lives in England with her husband, novelist Sam Llewellyn.